If you're wondering what to buy this holiday season for that hard-to-shop-for someone, consider these five ways to give the gift of home improvement. Whether your partner has been dreaming of a new kitchen or a family member has just bought a new home that needs some work, you can give them a hand and cross them off your shopping list in one easy step. By giving the gift of a home improvement, you can help a loved one realize their dreams by taking away financial stress, giving them a hand with ideas or just streamlining the process to save time. No matter how you go about it, a gift of home improvement is sure to be appreciated. If you know someone who is dreaming of a kitchen remodel, a new addition or whole house update, consider these five ways to give the gift of home improvement and make their dream come true. Home improvements are expensive. From the materials to the contractor bills, sometimes a home renovation is out of reach financially. 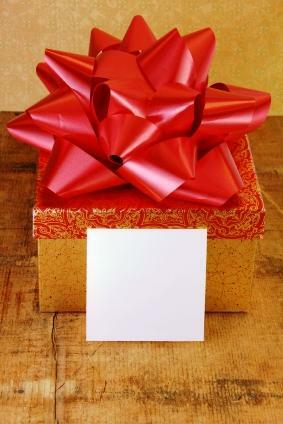 Ease the burden with a gift card to a material supplier. Most high end tile and plumbing showrooms and large box stores such as Home Depot sell gift cards in varying amounts. Even picking up the price of a new tile floor or kitchen countertop can go a long way toward helping someone get their project completed. Picking up a gift card to a showroom or box store will let them make their own choices in their own time. Are you a plumbing guru, or can you lay tile out in patterns? Give the gift of your time, and make some home improvements or repairs yourself. Find out what needs to be done, set a date and go over to take care of it. Fixing a dripping faucet, making some minor plumbing repairs or helping with tile installation can ease stress and save your loved one the professional fee. Does someone you love dream of a new kitchen or bathroom, but doesn't know where to begin? Give them the gift of a session with a design consultant. Design consultants can make suggestions on color, start the process for you or take you from the beginning to the end of a project. You can pay for one or a series of sessions, depending on need. Using this approach, you can give that new designer kitchen that may be just out of reach. Many high end tile showrooms will put together a custom backsplash or tile floor, drawing up a diagram and giving you a detailed quote. One way to give the gift of home improvement is to quietly go down to a showroom and pick out some specialty tiles to complete that new backsplash or bathroom floor. Have the material list printed with no prices, and give it to your loved one with the understanding that they can go down to the showroom themselves and pick out exactly what they'd like; you'll pick up the bill when they're done. If someone you know has been lusting after Delft tiles for their fireplace surround, or wants to add handpainted tiles to a backsplash, this is the way to get it for them. Home renovations are multi-faceted with a number of details that need to be picked out and put together in order to complete the project. Many people dream of a new bathroom or home addition but don't have any idea where to begin. Home design magazines are filled with inspiration and ideas that can give them just what they're looking for. Many design magazines are even geared toward specific projects such as kitchens or bathrooms. There are even magazines devoted to nothing but tile; find out where your loved one needs a hand and give the gift of inspiration this holiday season. Many people hesitate to give the gift of home improvement, feeling that it may be over stepping or interfering. These five ways to give the gift of home improvement are ways you can help someone turn their home into a castle without taking away their control. Give the gift of home improvement this holiday season and turn someone's dream home into a reality.